Summoners Con, an organization that specializes in bringing together the community and pro players for the ultimate League of Legends experience, announced its first annual Summoners Con was scheduled to take place November 1, 2014 at the Marriott Burbank Airport Hotel & Convention Center, 2500 North Hollywood Way, Burbank CA 91505. The event, scheduled to start at 9 a.m. and wraps up at midnight, will feature a special host, Spazie, one of the top personalities in the League of Legends space. On the list of special guests are Greg “Sky” Williams, the most popular comedian in LoL, and Instalok, the biggest League band known for their parody songs and music videos about the popular MOBA. They will be joined by several LCS teams, including Cloud9, currently the top-ranked team in North America, Team Curse, Dignitas & CLG. 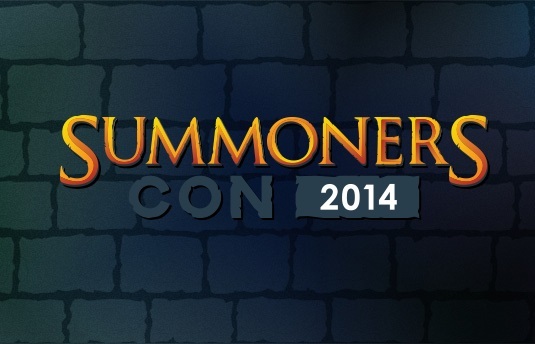 Aimed at the 100 million monthly League of Legend’s players and fans, Summoners Con is being designed to bring community and pro players together. The co-founders behind the event are Cat Valdes, a long-time league player, industry influencer and veteran YouTube creator and entrepreneur Kevin Khandjian, co-founder of the popular YouTube convention, Playlist Live.